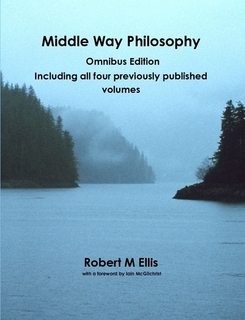 This glossary includes terms for cognitive biases, fallacies and metaphysical beliefs that are used in this book, but that are not terms specific to Middle Way Philosophy because they are also more widely used in psychology and philosophy. My definitions of them may nevertheless offer an unconventional emphasis for practical purposes. A few terms here overlap with those in the glossary of Middle Way Philosophy terms. For the sake of clarity and to show the relationship between all the cognitive biases, fallacies and metaphysical beliefs in this list, I have given the briefest possible definitions, all in the form ‘assumption that…’. All definitions also make explicit the absolutisation of judgement involved (by using terms such as ‘must’, ‘necessarily’, or ‘absolutely’) and the possibility of an equally flawed opposite wherever relevant. Endowment effect Assumption that an object necessarily gains (or does not gain) value from association with or possession by us. Planning fallacy Assumption that costs and completion times for a project must (or must not) be as they have been over-optimistically envisaged. Regression fallacy Assumption that events must (or must not) have particular identifiable causes that are entirely distinct from the events that would have normally occurred without those causes.